Google Nexus has been popping up on various retail sites this week and is apparently selling like hot cakes. The last time we published its availability on Infibeam, the Phone went out of stock the very next morning. If sources at AndroidOS.in are to be believed, Nexus 5 will be available soon from official channels, perhaps this week itself! Acc to the website, over 5000 units of the Google Nexus 5 have already been shipped in India and this means the coming soon tag on the India playstore might soon wear off. You can get the Nexus 5 16 GB for Rs. 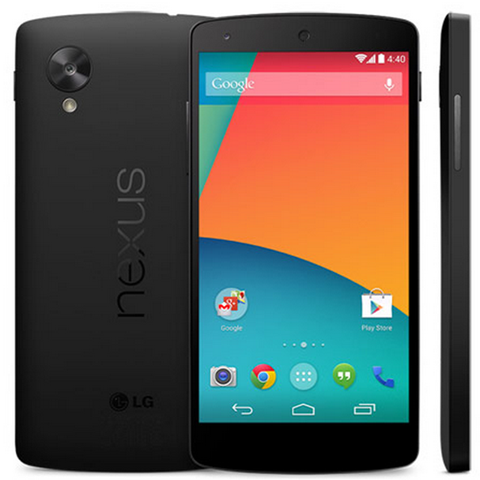 28,999 and the Nexus 5 32 GB for Rs. 32,999 from Playstore. If you have been desperately waiting for this device, Keep one eye open, because the device will run out of stock before you know it. You can also pre-order this phone from Snapdeal for Rs. 999 but it will be wise to know the final retail price and to wait for Playstore listing for at least 1 week, before you do so. The Nexus 5 is appealing because it comes with the latest Android 4.4 KitKat out of the box and provides with the Snapdragon 800 beast at surprisingly low price. We have heard mixed reviews about the 2300 mAh battery backup and not so good 8 MP camera at the back. Google is expected to roll out a software fix for the camera in coming days which will hopefully work. You can check the complete detailed specs on our Google Nexus 5 Quick Review.